As our daughters grow up and our need for space diminishes, my wife Lynn and I are considering downsizing. Exploring our alternatives, I am struck by how considerations of owning a house can change over the years. Many quality-of-life factors influence the decision. Safety, access to education, space and location are criteria that often complicate the pure financial aspects of this decision. It’s likely to be the biggest purchase you’ll ever make, which certainly weighs on its importance. It’s such a large investment that you’ll probably need to borrow money, so having a mortgage and dealing with debt can work against other aspects of your financial plan. Finally, the reason you own a house may change as your needs in life evolve, which may change the overall goals. Many homeowners will go through four phases in their lives, each presenting different challenges. Most often, we buy our first residence because we’re sick of seeing no economic value in throwing money after rent. My older daughter, Kenzie, graduated recently and just began her first job in a new city. Given the prospects in real estate now, I focused on the economic opportunities and suggested she consider buying a house. Her response was that she wanted to get to know the city. Smart kid. She recognized that such an investment requires a long-term commitment and wanted to make sure she knew where she wanted to live first. Most people are wise to put off the purchase of their first house until they are settled – even if the financial motivation suggests otherwise. Good investment choices sometimes make bad life decisions. While your first house is often “an investment,” subsequent purchases may predominantly be an upgrade. People typically upgrade because they can, rather than because they need to. Maybe you have more kids and the extra bedroom would be nice, but how many of us grew up sharing bedrooms in tight spaces? Does anybody really need a 5,000-square-foot house or third garage? Perhaps an increase in income or savings allows a more generous house, but it seems to me the quality-of-life issues drive more of the transitional home decisions. Pay particular attention to the financial implications of such moves because they continue having a lasting impact. Much of the recent financial crisis can be tied to excesses created when people bought bigger houses than they needed and borrowed more than they should to finance those purchases. Poor decisions destroy many financial plans at this stage. Here’s where I am. I had four in my house, now it’s three, and soon it will just be me and Lynn. Our house was built to accommodate more than two people, so it seems natural to move to a smaller place. People assume less house means less maintenance and less overall cost. 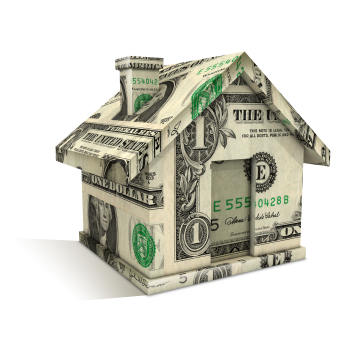 I often find people buy smaller but not necessarily less expensive homes. What they lose in square feet is often made up in higher quality or additional features, so cost savings are not a given. Often these moves are driven by changes in lifestyle. Physical limitations may motivate a move to a ranch-style house to avoid stairs. One may move closer to work to save some driving or farther from the city to find peace and quiet. These moves may net some savings but seem geared more to lifestyle changes. Our next move will accommodate certain inevitable life changes. For instance, we’re interested in a ranch so we won’t be climbing too many stairs as we get older. While I believe we’ll end up with a much smaller house, it’s possible we may spend more – without breaching our savings plan – to get a few things we can now afford. When upkeep becomes overwhelming or your physical abilities deteriorate, a move to a facility that offers some support may be warranted. This is a move typically driven by external factors such as health. Often this move is borne of necessity rather than choice and as such can cause its own set of financial challenges. If a house is not properly maintained and an event drives a sudden sale and move, you can lose thousands in transition. Keeping the place in good shape as we get older and being prepared to make a quick decision regarding future living arrangements can alleviate a forced economic loss. I am constantly amazed how many people I meet who fail to consider contingent living arrangements as they age. Like all things, chance favors the prepared. Housing costs are the single biggest expenditure of our lifetime. Since so many quality-of-life issues are connected to the place we live, it’s not just financially important to plan properly but critical to your well-being. Buying a house is an economic decision; making a home is so much more. Each demands careful planning and consideration. As for us, we’re about to put an offer on a property that will allow us to build the house we expect to live in well into our retired years. I was surprised we couldn’t find an existing house that met our basic needs, with so many houses for sale. We’ve really done our homework (Thanks, Lynn.) and believe we are getting good value on a lot that we’ll enjoy for 15 to 20 years. Our strategy has enough leeway that if we don’t sell our current house for the expected price it won’t ruin our overall plan. At this age, I don’t want to be house poor. While it’s a new house, we also hope it will be a new home with room enough for the kids to return bringing future spouses and grandkids. What in-home support services are available now, and in the future, to meet my health and social needs? Have I involved my family members and friends in my decision making, as appropriate?